Sherri Cort, Broker / Owner of Westar Realty has had a long and distinguised career with over thirty (30) years in the Finance and Real Estate Industry. She has spent twelve years as a Commercial Banker for Crocker / Well Fargo Bank in the Retail and Commercial Departments and sixteen (16) years in the mortgage banking field. She started her mortgage career as an appraiser, loan processor, a company and PMI / Investor Underwriter with Directors Mortgage Loan Corporation of Riverside, CA. Rewarding her success Directors promoted her to Operations Supervisor of their Builder Wholesale Loan Division. 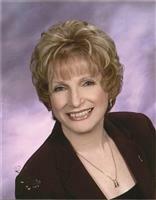 In 1995 Sherri obtained her real estate license and started her career with Tarbell Realtors of Moreno Valley. In 1996 she was invited to join Hartig Properties which was awarded 100% of the Freddie Mac and partial Fannie Mae forclosed properties liquidation acccount for Moreno Valley properties. In 1997 Sherri was hired as Vice President of Operations for Pacific National Bank retail mortgage division in Irvine, CA. In 1999 Sherri left the active Mortgage Banking Field and started WESTAR REALTY. 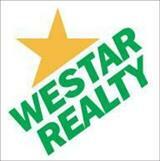 Sherri is Broker / Owner of Westar Realty which has been very successful since it's opening and has a stellar reputation in the Moreno Valley/Riverside and Inland Empire community among both buyer/seller clients and fellow agents. Sherri prides herself on her large volume of repeat and referral client base and being in the top 2% of sales agents in the Inland Empire.